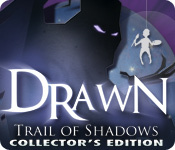 Drawn™: Trail of Shadows Collector's Edition is rated 4.2 out of 5 by 86. Rated 5 out of 5 by TraceyDee from Top Notch Puzzle Game The story line and the puzzles are so spell binding that you just want to continue on. The music and narrator's voice absolutely perfect !! Excellent series DRAWN. Rated 5 out of 5 by ElNirmalSitaldin from A Trail of Excitement and Adventures The last installment of Drawn was really thrilling and serene, as usual! The storyline is great, mysterious as always... Till the big secret is revealed at the end (if you've played the previous installments, this last installment will blow your mind) Beautiful visual effects and the soundtrack is beautful, just like the other installments. I enjoyed the game so much, I wish it was longer.. But a great game and definitely worth it! Rated 5 out of 5 by bonisqui from Lives up to high expectations The Drawn series are definitely my favourite games. 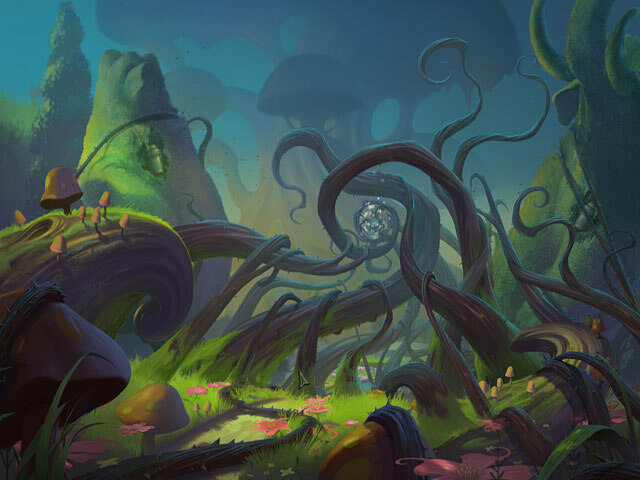 It's really the artwork and whimsical nature of the game that keep me hooked. I look forward to Drawn 4! Rated 5 out of 5 by vickysweety from The special one this is the best ever. the visual concept, the storyline, the unique origami style, they make classic. Please do not let this beautiful and delicate game stop at 3, we would love to play more and more. Rated 5 out of 5 by pennmom36 from Drawn: Trail of Shadows CE This is the third installment of Drawn, Iris was trapped inside the Painted Tower, she escaped from the King, as the tower came crumbling down by hiding beneath the giant bell from the tower. Her mission was clear in the Dark Flight, she had to light the three beacons and banish the darkness to become Queen. The Trail of Shadows shed's a whole new light upon the Drawn series as they take us back to the beginning, where it all began. Iris was just a small girl, who listened intently to Franklin who told the story of a small boy who was able to paint doorways that became portals to other worlds. Behind one of these doors was an evil wizard who captured the boy with the intention of making him paint the world into darkness. You must stop the wizard before he reaches the Mountain Giant, if not, we're all doomed! They have added a new feature that didn't float my boat, as you move your cursor, the screen moves slightly to the left and right to give the game a kind of 3D effect, but it doesn't work for this game. 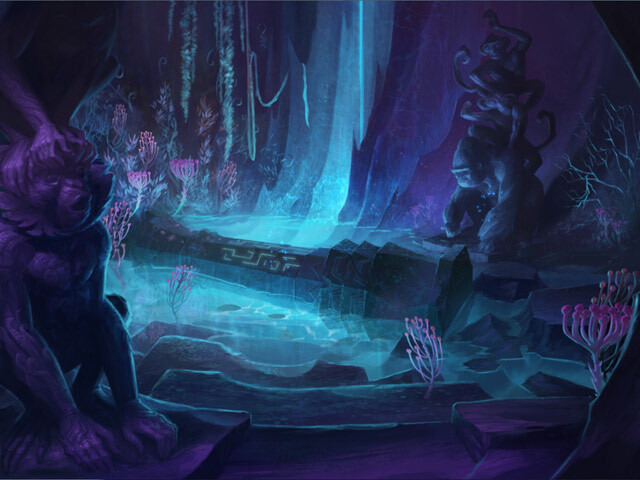 This game is also a bit more colorful, afterall it is a story that takes place before the darkness. The mini games are plentiful as usual, and you will have to put on your thinking cap because the hint system is very vague as with all Drawn games. There are Achievements to earn and 27 collectible pigs which are usually within the pages of your journal, in the form of a pop-up with pull tabs to interact with the story. This Collectors Edition has Achievements, 27 Collectible Pigs, Concept Art, Wallpapers, Soundtracks, and a Bonus Chapter, enjoy! Rated 5 out of 5 by anthony6080 from Still a great game, furthermore improved! 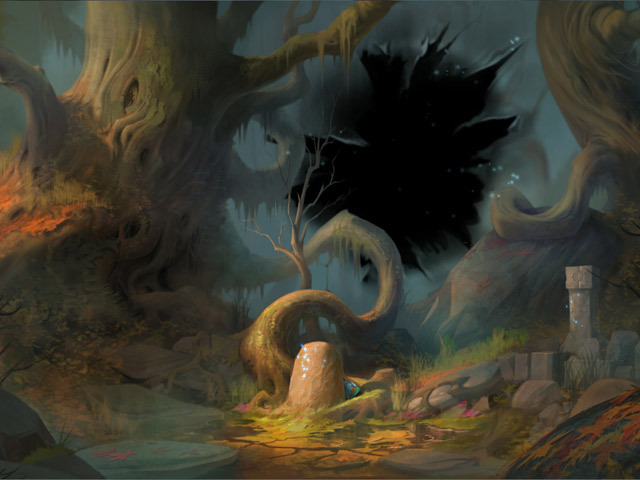 The graphics become moveable, new achievement to be achieve and other common extras such as wallpapers and concept art. Yeah! The third installment for the game is improved! But, the story is not much exciting, but OK! The animation I still like. Cool! Before the Drawn 3 Trails of Shadow: -Drawn The Painted Tower ; and -Drawn 2 Dark Flight I recommend players to play the other two first before playing this one, as the story goes on. Rated 5 out of 5 by Meggie1986 from Another piece of art! Excellent graphics as the previous 2. Even better with the pop-up book! Beautiful and creative activities. Love it!!!! Rated 5 out of 5 by ikj_lozada27 from Fun Adventure Game It's very interesting. It's like a story book that's classic. Wow!